Full colour high quality ondemand coping and printing. 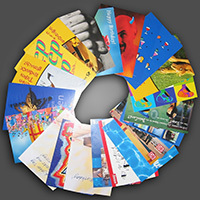 Whether you need 1 copy for sample or 100 copies to do a presentation, digital printing is the way to go. On demand printing with faster turnaround.